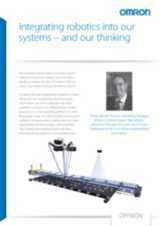 Integrating robotics into our systems – and our thinking. For managers in those parts of consumer goods manufacturing where robotics have not made significant inroads, the idea of ‘a robot’ is likely to conjure up images of a huge standalone system. Of course, this type of robot has its place in a ‘heavy lifting’ role such as palletising. But increasingly, robot systems are being integrated into other operations and processes, sitting among multiple functions on a single operating platform. So, while the popular image of a robot may be a six-axis giant working in the automotive industry, there are many opportunities for them to play a role dovetailed into complex lines helping to automate food, pharmaceuticals, electronics and packaging lines. Robert Brooks (Product Marketing Manager Motion & Drives) argues that robotics should be thought of as just one of many ingredients in the ever-richer recipe behind automation. 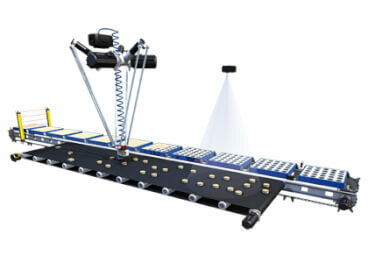 We will showcase robotics solutions at PPMA. Check what else is there to see on the show or register (it's free).